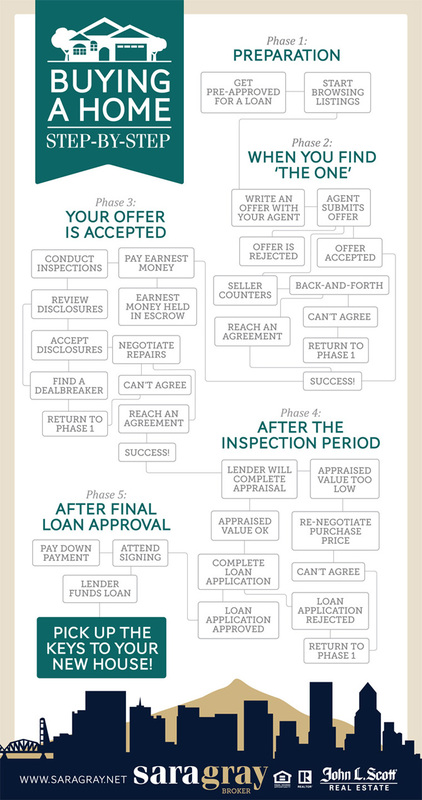 The process of buying a house can be overwhelming. That’s why I like this road map — it illustrates in a helpful way how the process usually works, where your outs are and how to get to the finish line. Special thanks to Allison, my fabulous graphic designer, for this infographic.